How will the Boise Experiment be performed? 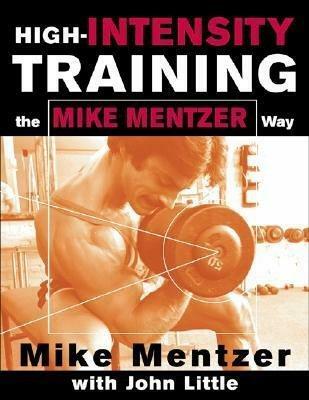 The Boise Experiment will be governed by Mike Mentzer’s Heavy Duty training principles. In short, Heavy Duty is the application of maximum intensity workouts with minimum volume and extreme focus on recovery. What most fitness enthusiasts currently understand about fitness training and getting into shape is quite the opposite of reality. Heavy Duty training will yield the best results in the least amount of time. Most of the people working out in health clubs today, are working out multiple times per week for hours. I have seen athletes workout up to 6 times per week with the duration of their workouts lasting 2 or more hours. The Mike Mentzer Heavy Duty principles employee brief, intense workouts that require several days rest in between workouts. It is not unusual for a typical Heavy Duty advocate to spend less than an hour in the gym in a two week period. Yes, you heard correctly. If you engage in Heavy Duty training to achieve your fitness goals you could be spending less time in the gym in a month than you spend grocery shopping. No joke. We will be disseminating as much information about our workouts and diets as we can in this BLOG. This will allow you to monitor our progress, or even lack of progress and assist in making proper deductions about what works and what does not. The full workouts will be textually disseminated here as well as all dietary components. If you want to get more in depth info about Mike Mentzer’s Heavy Duty you can go to www.mikementzer.com. There is a great following of Mike’s ideas and principles, as well as some doubters and critics. But hey, people are going to doubt what we’re doing and probably have some views about the Boise Experiment. THAT’S THE BEAUTY of it…jump on the BLOG every night and let us know what you think.